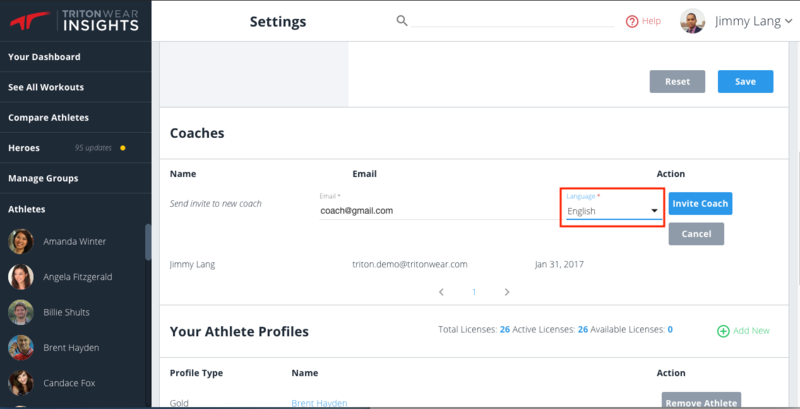 When a coach sends invites to other coaches and athletes on the team, they will select the language in which the email invite will be sent. Enter athlete’s Profile Type and email address. On the pop-up, enter Athlete’s first and last name, and select language on the dropdown. Language is set at an individual level. Once a coach or athlete receives the email invite and registers their account, they can set their preferred language. Language settings can be changed at any time. 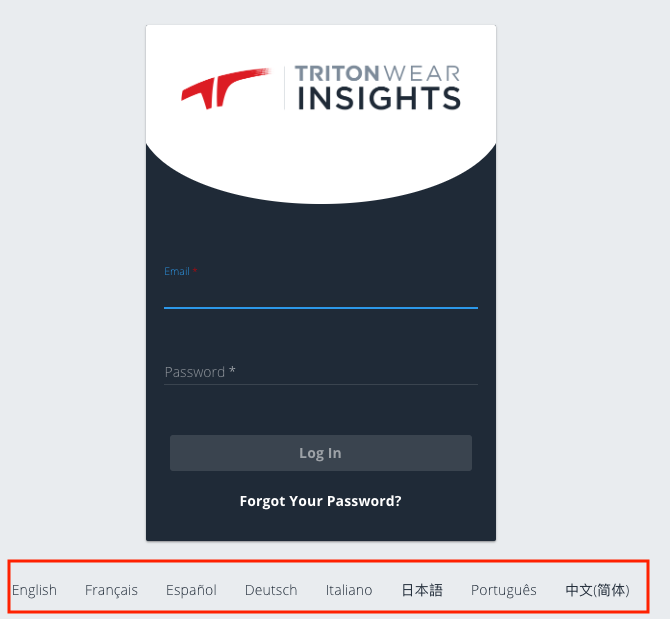 On the TritonWear Insights login page, users can select their preferred language along the bottom of the browser. The language previously set on Insights will be the default language. Selecting a language on the login page will only affect that page. Logging in will reset language to the default setting. Selecting a language from the bottom of the browser and then logging in to Insights will set the default language moving forward. Language settings selected on Insights will be applied to TritonWear Live, but these settings can also be modified on Live. Learn how to set language on Live here.